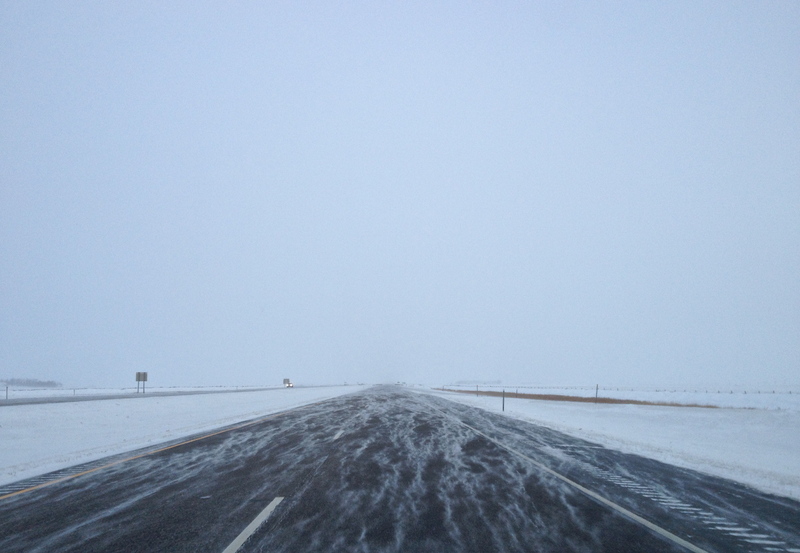 A view this morning of I-29 between Fargo and Grand Forks. This morning Molly and I drove north from Fargo to Grand Forks, and now we’re waiting at the GF Byron L. Dorgan International Airport to board our flight to lovely Las Vegas, Nevada. I got family in Vegas, so that’s where we’re setting up for the holidays. The Shaw Memorial was (and still is) different… the Shaw Memorial moved people emotionally. The events it commemorated compelled viewers to acknowledge that wars have meanings that go beyond manly valor. Saint-Gaudens’s relief forced the thoughtful citizen to ask how a struggle in the 1860s between white Northerners and Southerners over conflicting conceptions of the future became a struggle for blacks over whether they had any future in America at all. The monument also asserts with majestic anguish that in the nation founded by the Declaration of Independence, black men had to die by the thousands in battle or of disease in order to be recognized as men, much less as citizens. I think about this quite a bit. At least since 2009, I’ve been absorbed by how that same Union army carried out punitive campaigns against the Dakota, Lakota and Nakota, and how these campaigns have been remembered in regional and national history. So those are my thoughts for now. Back to the book. And back to waiting to board our flight. Happy Christmas all. This entry was posted on Sunday, December 22nd, 2013 at 12:11 pm	and tagged with David Blight, Memory, Public History, Robert Gould Shaw, US-Dakota Wars and posted in Uncategorized. You can follow any responses to this entry through the RSS 2.0 feed.